What Does The Best Bond Cleaning In Kelvin Grove Cover? Finding and selecting reliable house cleaning in Kelvin Grove is not easy. The most common questions we get asked by people like yourself have been collated below to assist you in making a smart decision. 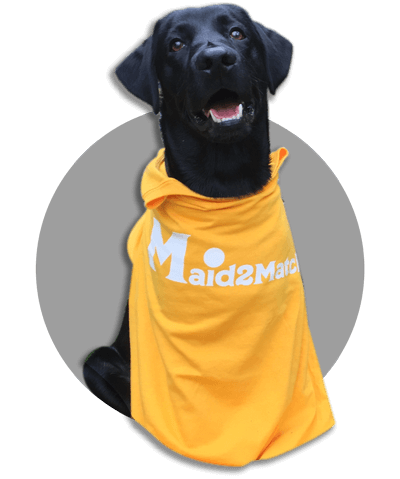 WHY ARE MAID2MATCH KELVIN GROVE’S BEST AT VACATE CLEANING? The truth is great bond cleaners possess a different skill set than regular house cleaners and therefore requires specific experience, dedication, and a first-class cleaning checklist. At Maid2Match, we personally vet all our cleaners, after having them complete a three-part application form. We provide extensive support and have crafted the most effective bond cleaning checklist you’ll find. Our team is the go-to for the best bond cleaning Brisbane. An inner Brisbane suburb, Kelvin Grove is set 3 kilometres to the north of Brisbane CBD. This beautiful suburb has a hilly landscape, so it’s no wonder it shares the same name with its Scottish counterpart, Kelvingrove Park in Glasgow. A tree-lined residential area, Kelvin Grove also sees some commercial and light industrial businesses, but these are primarily set on its main road, Kelvin Grove Road. Once you get enough walks on its quaint streets, mottled with post-war cottages and Queenslander homes near modern apartment buildings, you can always watch a show at Roundhouse Theatre. Located in the campus of the Queensland University of Technology, this theatre sees performances from the famous La Boite Theatre Company, one of Queensland’s largest. There are plenty of heritage-listed sites you can visit as well. The Ithaca Embankments, Gona Barracks on Gona Parade, and Student residences on Musk Avenue are just a few of the listed houses. But the true gem is Kelvin Grove Fig Trees and Air Raid Shelter at 104A Kelvin Grove Road. Besides this, you can’t miss the Kelvin Grove Markets held on Blamey Street each Saturday. And there are also the interesting sculptures on the QUT Kelvin Grove campus, made by Matthew George, a Queensland chainsaw artist.